It is very important that you all clearly understand the depth of human torture to which I was subjected for 30-plus years by CDCr and CCPOA. * The torture was directed at me and similarly situated women and men prisoners held in Cali­fornia’s solitary confinement locations throughout CDCr, with the approval and sanc­tioning of California governors, CDCr secretaries and directors, attorneys general, along with the California Legislature for the past 40 years. Sitawa Nantambu Jamaa hugs his sister, Marie Levin, for the first time in 31 years. For 31 years, he never felt a friendly touch. He says that as he hugged his sister, he thought of the 16 close family members he had lost during those years, including his mother, in 2014. They have al­lowed for their own citizens – prisoners – to suffer horrible crimes with their systematic process of physically and mentally killing prisoners for de­cades, with no regard for human life. I was placed in solitary confinement – the SHU – on May 15, 1985, on trumped-up, illegal and fabricated state documents by two leading CDCr lieutenants, Criminal Activity Coordinator (CAC) Lt. L.O. 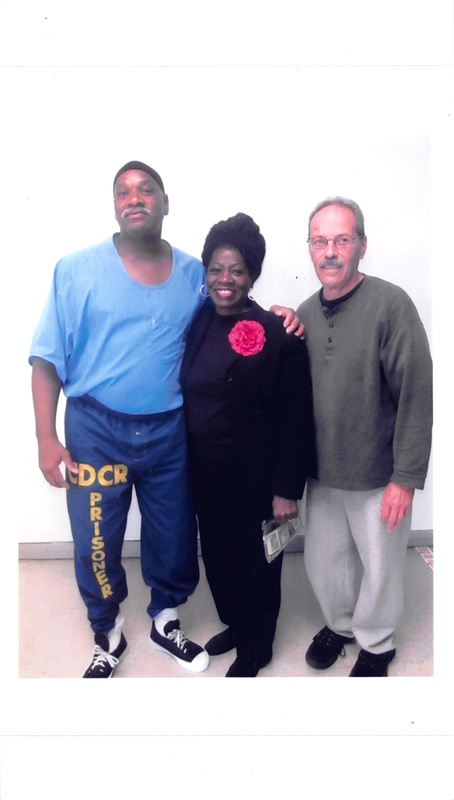 Thomas and Lt. Suzan Hubbard of North Block Housing (NBH) at San Quentin State Prison. Yes, these two leading lieutenants removed me from San Quentin general population, not for alleged criminal acts or rule violations, but for the politics of the revolutionary New Afrikan political organization and the beliefs and cultural views of the New Afrikan revolutionary leftist organization titled the Black Guerrilla Family (BGF). I was targeted by CDCr prison officials at San Quentin during 1983 on up until I was removed from the gener­al population (GP) and housed in San Quentin’s Control Units within their solitary confinement housing building, North Housing Unit (NHU). The sole reason for my housing there was that I was educating all New Afrikan prisoners on San Quentin’s GP about our rich New Afrikan history behind California prison walls and across the United States. I was teaching them that we as a people shall not be forced to deny ourselves the rights in the U.S. Constitution and the California Constitution. Yes, I person­ally believe that every New Afrikan woman and man has the right to protest any CDCr Jim Crow or Black Code-type rules or laws which violate our human rights as a person or prisoner. And so I was educating my people to our civil rights and human rights in the California prison system during the 1980s while I was within the GP. I continued to educate my people, the New Afrikan nation, when I was placed in solitary confinement from 1983 to Oct. 11, 2015. It was a tragedy for three decades – yes, 30-plus years I was forced to suffer all forms of torture and witness killings of human life at the hands of CDCr officials and staff for decades, aided and abetted by governors, stakeholders, the Legislature, CDCr directors and secretaries etc. The New Afrikan Prisoner Government (NAPG) has suffered and endured the violent attacks upon our prisoner community for decades on all levels and functions at the hands of CDCr employees. We have a U.S. constitutional right to resist any form of tor­ture, repression and violations of both our human and civil rights. I was placed in the SHU, not for alleged criminal acts or rule violations, but for the politics of the revolutionary New Afrikan political organization and the beliefs and cultural views of the New Afrikan revolutionary leftist organization titled the Black Guerrilla Family (BGF). I shall not be found among the broken men and women! I shall live and die a warrior for our New Afrikan Nation and humanity! 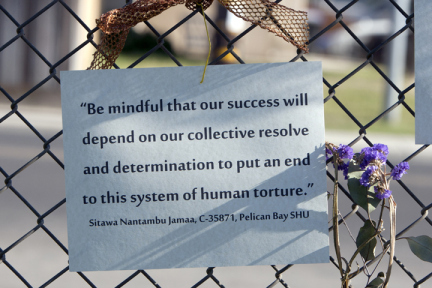 After being transferred from CDCr’s solitary confinement at the Pelican Bay SHU to its Tehachipi SHU during the period of July 10-17, 2014, including a layover in the hellish Ad Seg (Administrative Segregation) unit at Deuel Vocational Institution (DVI), it would not take long before the CDCr officials at CCI (Tehachapi) would show their collective scheme to have me assassinated as the New Afrikan principal negotiator plaintiff in the Ashker v. Brown class action lawsuit. During our peaceful protest by the solitary confinement prisoner class (SCPC) against Steps 3 and 4 of the CDCr-CCI Step Down Program (SDP), we collectively stopped participating in the dysfunctional SDP at CCI-Tehachapi Prison on May 11, 2015. This was because the SDP has been violating our SCPC liberty interest arising from the Due Process Clause itself, and CDCr had to stop its SDP from imposing stigmatizing classifications and concomitant behavior modification. I realize now that the SDP between 2012 and 2015 violated our constitutional rights, and it still does. In an obviously sinister campaign to undermine the collective solidarity of our historic Agreement to End Hostilities, these officials tried to manipulate the other racial groups supporting the AEH to turn against me. First, SHU Counselor Vanessa Ybarra went to one of our 16 Prisoner Human Rights Movement representatives, Gabriel Huerta, and tried to get him and other reps to turn against me, asking Huerta, “Why do you all let that Black inmate speak for you all during this boycott of the Step Down Program? My supervisors want to know.” Correctional Counselor II B. Snider, Capt. P. Matzen, Associate Warden J. Gutierrez, Chief Deputy Warden W. Sullivan, Chief Deputy Warden Grove and Warden Kim Holland are the supervisors she was referring to. However, things did not go as planned because Brother Gabriel saw right through what this counselor and her supervisors were trying to do in creating a hostile, antagonistic atmosphere and consensus against me by my peers. First, Gabriel asked the counselor, “Who are you talking about?” Then the counselor replied, “Dewberry.” Dewberry is my given last name. And Gabriel told that counselor, “Dewberry is one of the four principal negotiators who represent the Prisoner Human Rights Movement’s prisoner SHU class. 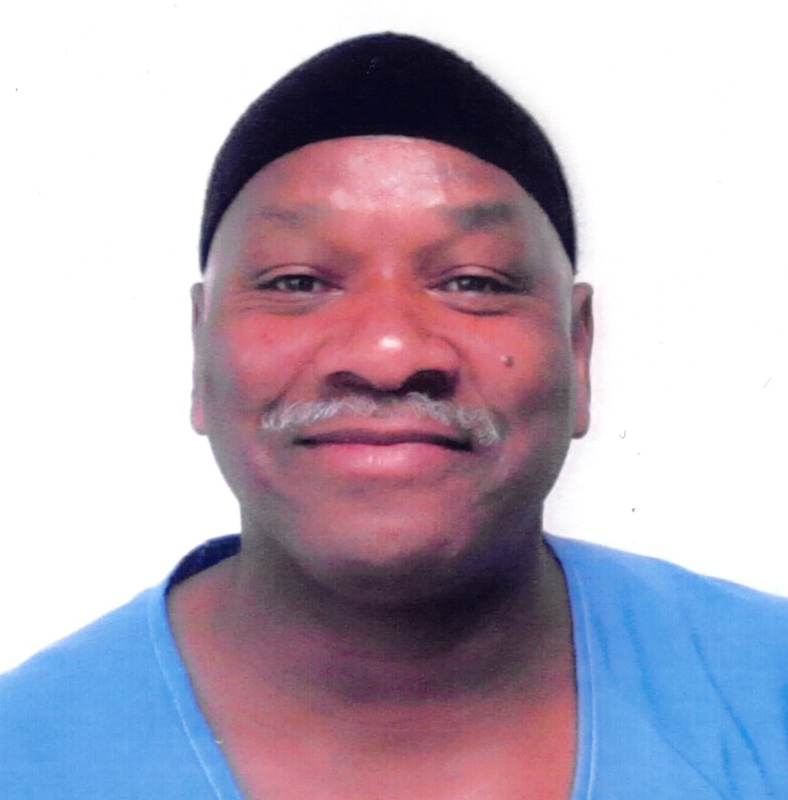 And he is one of the main plaintiffs in the Ashker v. Brown class action lawsuit against CDCr, and he has been speaking on behalf of prisoners from 2010 to right now and he speaks for our best interests as our prin­cipal prisoner negotiator!” The counselor turned around and walked out of the sallyport area. When Gabriel Huerta asked Vaca, “What Black prisoner are you referring to?” the counselor responded, “I’m talking about Dewberry. By the way, Huerta, since when do you Mexicans follow what this Black prisoner says?” The Rep refused to play into that old CDCr manipulation game and terminated the conversation by telling the counselor, “You can take me back to my cell,” and left. This life-threatening CDCr campaign leading up to my release out of SHU in October 2015 would be followed by the unprofessional, illegal attitudes and actions by CDCr employees awaiting me as I entered the general population. It was necessary to understand their motives in their dealings with and around me. Upon my preparing to allegedly be released to general population, I was notified on Aug. 11, 2015, that I would be attending my first Institutional Classification Committee (ICC) hearing in over 30 years which had any meaning. Let’s put this “ICC” into perspective as to why these ICC hearings now have merit for the solitary confinement prisoner class (SCPC). We the SCPC had to take our struggle to the streets of this world by participating in three non-violent peaceful protests. In the first, commencing July 1, 2011, a total of 6,600 woman and men participated. And when CDCr failed to honor the agreements made to end it, we the SCPC were compelled to enter our second non-violent peaceful protest on Sept. 26, 2011, in which a total of 12,600 men and women participated across this state. CDCr begged for us to discontinue our protest and allow for them to make the necessary interdepartmental major changes which would release the longest held SCPC first. The four principal negotiators – Brutha Sitawa, Arturo Castellanos, Todd Ashker and George Franco – along with our 16 Pri­soner Human Rights Movement (PHRM) representatives decided to suspend our protest in mid-October 2011 and allow for CDCr to show their good faith efforts to reform their illegal solitary confinement policies, laws and rules and place all 10,000 SCPC women and men onto a fully functional general population by Feb. 1, 2013. We vowed to resume our protest to death or until CDCr negotiates with us in a real way. Yes, on Feb. 1, 2013, the four principal negotiators announced to our tormentors – CDCr, the governor, the Legislature, the attorney general and stakeholders – that we would resume our protest on July 8, 2013, being that CDCr wants to wage their war of attrition against me and similarly situated SCPC. We the SCPC had to take our struggle to the streets of this world by participating in three non-violent peaceful protests. On July 8, 2013, we entered into the largest hunger strike in prison history. Some 30,000 prisoners participated and our just cause forced Gov. Brown, California Attorney General Kamala Harris, all CDCr secretar­ies between 2010 and 2016 and their stakeholders, who all had the current data, to recognize the torturous conditions we SCPC had to endure for decades. I was one of thousands held at Pelican Bay, and I don’t want another woman, man or child to be forced to suffer what I went through. We SCPC observed and suffered the cruel and devasta­ting harm caused by CDCr. On Aug. 11, 2015, I was approached by Building 8 Correctional Counselor I Vaca at approximately 8:25 a.m. at my cell door for the sole purpose of preparing my central files for possible release to a general population. Vaca informed me that I am the first solitary confinement prisoner class member whose case files he is currently reviewing and that I am scheduled to appear before a full ICC on Aug. 19, 2015. Now, within a two-hour time period, this same counselor, Vaca, appeared at my cell door with a sinister smirk on his face suggesting that I could now appear before this ICC hearing “tomorrow,” Aug. 12, 2015. Counselor Vaca was too enthusiastic for me to attend the earlier hearing, so I told Vaca, “I’ll stick to the original schedule date of Aug. 19, 2015,” instead of his suggested new schedule. This counselor was upset at me for sticking with the original ICC hearing date, which was very strange to me and it warranted me to reflect upon his previous misconduct of trying to manipulate and influence other California racial groups – Southern Mexican, White and Northern Mexican – to breach our Agreement to End Hostilities (AEH). I was one of thousands held at Pelican Bay, and I don’t want another woman, man or child to be forced to suffer what I went through. We SCPC observed and suffered the cruel and devasta­ting harm caused by CDCr. Vaca had personally tried to have a leading prisoner of each racial group to silence – assassinate – my voice of prisoner activism directed at CDCr and CCI (Teha­chapi) officials. These veteran prisoners did not fall for Vaca’s tactics of divide and conquer; they stayed true to our Agreement to End Hostilities. Now, on Aug. 12, 2015, Hugo Pinell was set up by CDCr officials at New Folsom Prison and killed [by white prisoners]. CDCr delayed my scheduled hearing for over a month and during said time period, three special agents came to interview me about the murder of Mr. Pinell. These three special agents pulled me out of my Tehachapi Prison cage for an interview on Aug. 14, 2016, two days after the murder of Mr. Pinell. These agents were dispatched by CDCr Secretary Jeffrey Beard and then Undersecretary Scott Kernan [now Secretary Kernan] to come and interview me and two other New Afrikan prisoners and others. The concern that was expressed to me was, how do I feel about the death of Mr. Pinell and would there be an all-out war between the two racial groups? These are my thoughts in relation to Mr. Pinell’s assassination and my release to a general population: I had expressed to these three special agents, first and foremost, “Why did you all travel from another part of California to speak with me about a death that I have no facts on other than listening to the radio?” I told said agents, “I shall be engaging myself in pushing the Agreement to End Hostilities (AEH). Mr. Pinell would not want for us to enter into a war conflict, especially after we signed the AEH back on Aug. 12, 2012. “And we, the PHRM, must see that our historical document, the Agreement to End Hostilities, remains firm to our cause and objectives, which are to radically change CDCr’s behavior directed at the Solitary Confinement Prisoner Class, and those of us who have been released to the general population are responsible for enforcing our AEH here behind the walls of California prisons and jails and to curb all community violence across this state outside of prison. These three special agents never did answer my question as to why did they travel from the state capital to the mountain of Tehachapi Prison to speak with me prior to my being released to the general population. It became a concern to me, be­cause I know that CDCr did not condone our AEH historical collective solidarity document and its objectives. This raised some serious questions in my mind as to why these government officials would direct these agents to interview me. A question they refused to answer. As you all can imagine, I was suspicious at best about whether I could expect any good faith from CDCr supervisors, officials or staffers upon my release from Tehachapi Prison solitary confinement housing, head­ing toward Salinas Valley State Prison (SVSP). On Oct. 13, 2015, I arrived at SVSP receiving and release (R&R), and upon my exiting the CDCr transportation bus and entering the R&R, I was met by three Institution Gang Investigators (IGI), the welcoming crew awaiting me. I was then es­corted into a property storage room where it was only the four of us. Now, these three IGI officers wanted to know my state of mind as it related to the assassi­nation of Mr. Hugo “Yogi” Pinell. I simply informed them that I will be pushing the AEH when I’m allowed to be released to the yard with all racial groups and especially with all of my New Afrikan Prisoner Government (NAPG) and ex­plain to all people the importance of the AEH and that I personally signed off on that historical document. Yes, the IGI made their usual threats. Now, within the next 10 days, I was allowed to attend the exercising yard, where all of the Afrikan tribes embraced me as their own Big Brutha! As in all situations, I went into my political prisoner activism mode in changing this modified general population prison into an actual functional general population. There is minimal change. The CCPOA (prison guards) have been doing everything in their power to stop, delay or hinder and obstruct prisoners from being afforded work assignments and real educational opportunity. We are denied full exercising yard hours, vocational trades, the same dayroom time as other 180-design prisoners. Correctional officers and sergeants continue verbal harassment with their Green Wall attitudes. It is clear that the above-mentioned CDCr employees have an ingrained dislike for all prisoners who are being released from California solitary confinement (SHU) chambers to CDCr modified general populations. There is minimal change. The CCPOA (prison guards) have been doing everything in their power to stop, delay or hinder and obstruct prisoners from being afforded work assignments and real educational opportunity. Now, just consider having to be faced with the above matters being denied to me and similarly situated prisoners, while preparing to have my first contact visit with my family in 30 years. Yes, I was compelled to close the lid on the jar and withhold all of this corruption and wrongdoing from my family. Upon my first visit to see my Queen, my sister, Marie A. Levin, and her husband, Randy Levin, my sister Marie left home in such a rush to come see me that she left her California ID at home, and I was unable to see her that Saturday, but I did have the opportunity to have a conversation with my brother-in-law. It was a great time for the two of us. Now, the following day, Sunday, I was able to see Marie and Randy together, without that thick shield of plexiglas between us. Now, for the first time in my imprisonment, I was somewhat shaken to the inner core of this New Afrikan revolutionary nationalist man by a simple hug from my young­er sister, Queen Marie, during our October 2015 visit. A hug should be a natural form of affection between a brother and sister. However, while my sister was squeezing me so tightly, all I could think about during those moments was of the family members who died, and I will never be able to hug or speak with them again. 16) Queen Mama, lost April 28, 2014. Another rally that not only garnered support from outside but raised spirits inside was at Corcoran Prison in the Central Valley on July 13, 2013, during the last hunger strike, where the prisoners were suffering the summertime heat combined with gnawing hunger. On a “solidarity fence,” notes composed of quotes from some of the leading strikers were pinned to a fence to inspire the demonstrators. This is a quote from Sitawa. Each one of them was denied the right and opportunity to physically touch me for over 30 years illegally, due to my political and cultural beliefs – three decades for a “thought crime,” which did not exist. Yet, my family members who have died never having had the opportunity to sit and touch me for decades, because CDC and CDCr chose to make attempts at destroying me physically and psychologically for no other purpose than to break my mind and spirit and those of similarly situated prisoners held within CDCr’s solitary confinement – Ad Seg, SHU etc.! This is just a window into what we prisoners had to suffer for decades by order of our tormentors – CDCr – and it continues to this day within the realm of CDCr modified general population. Our struggle for justice, equality and human rights continues. We need the support of all people in California and the world to stop the in­justice we suffer at the hands of CDCr officials and especially by the CCPOA and their ilk. I would be extremely irresponsible if I didn’t seek the support of my New Afrikan people – for example, Marie “FREE” Wright, Erykah Badu, Jada Pinkett Smith, Will Smith, Kerry Washington, Taraji P. Hansen, John Legend, Beyonce Knowles Carter, Dominique DiPrima, Shauntae “DaBrat” Harris, Azadeh Zohrabi, Common, Gabrielle Union, Chrissy Teigen, Alicia Keyes, Lupita Nyong’o, Sanaa Hamri, Kellita Smith, Snoop Dogg, Serena Williams, Jamie Foxx, Janelle Nonee’, Sanaa Lathan, Dana “Queen Latifa” Owens, Keisha Cole, Danny Glover, Yolanda “YoYo” Whitaker, Maya Harrison, Whoopi Goldberg, Harry Belafonte, Tatyana Ali, Tyress Gibson, Tracee Ellis Ross, Oprah Winfrey, Angela Bassett, Bryan “Baby” Williams, Shaun “Jay Z” Carter, and all sista and brutha entertainers across Oakland, the Bay Area and the country. Yes, our New Afrikan Lives Matter here behind the enemy lines of California’s unjust prison system. On behalf of our New Afrikan prisoner community, I pray that you will show your support for our freedom campaigns and whatever you all can donate shall be greatly appreciated. Please send your donations to FREEDOM OUTREACH, P.O. Box 7359, Oakland, CA 94601-3023 or contact Maria Levin at levin1marie@gmail.com. Send our brother some love and light: Sitawa Nantambu Jamaa, s/n R.N. Dewberry, C-35671, Salinas Valley State Prison C1-118, P.O. Box 1050, Soledad, CA 93960-1050, www.Sitawa.org. *CDCr stands for the California Department of Corrections and rehabilitation – the last word uncapitalized by many prisoners to signify how little rehab exists. CCPOA – California Correctional Peace Officers Association – is the guards’ union, which exerts great influence within CDCr and on state policy and legislation. CDCr — SVSP Retaliates Against Brutha Sitawa – With False Reports to Remove Him from G.P.